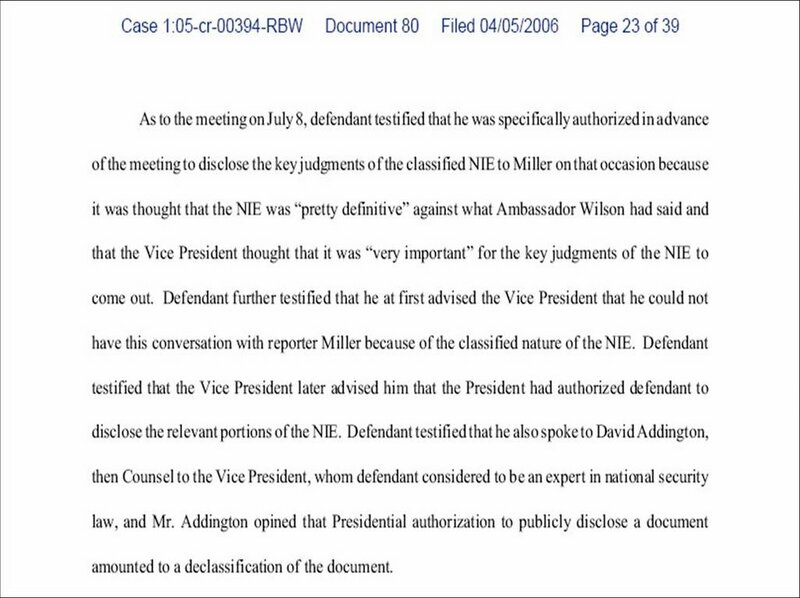 Special Prosecutor Patrick Fitzgerald may have corrected a court filing that mistakenly suggested that the president authorized former Cheney chief of staff Scooter Libby to misrepresent parts of the National Intelligence Estimate to the press in order to justify the war in Iraq. But you wouldn’t know that from reading Fitzgerald’s Web site, which contains no record of the letter of correction he sent to the judge in the case. What’s more, the original document suggesting that Libby was ordered to misrepresent the NIE remains on the site. 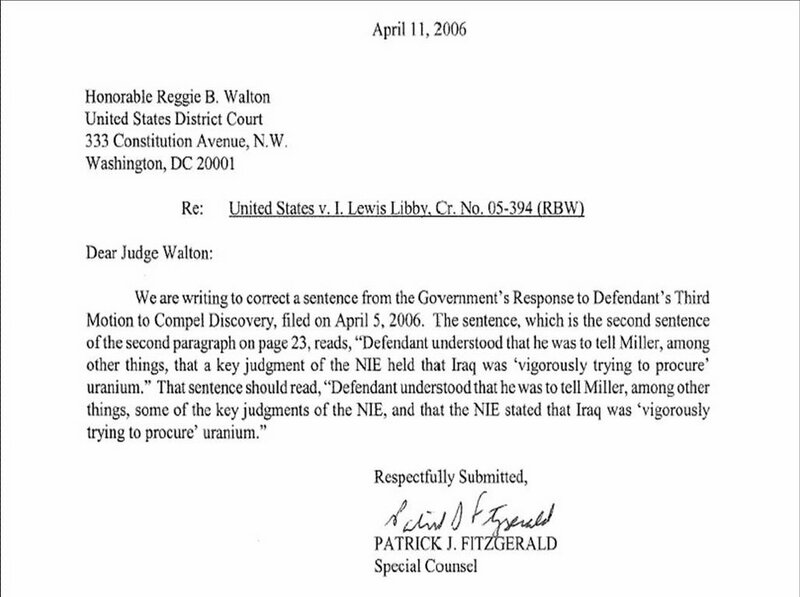 Given the media’s overwhelming interest in this case, an erroneous statement in the government’s response brief led to stories in the press that falsely accused Mr. Libby of making inaccurate statements – or even lying – to reporter Judith Miller about the contents of the NIE. 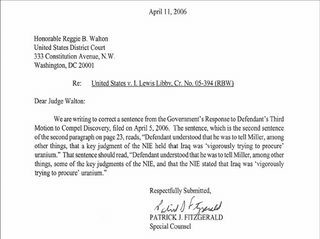 The government has since written a letter to the Court to indicate that, consistent with his grand jury testimony, Mr. Libby did not tell Ms. Miller “that a key judgment of the NIE held that Iraq was ‘vigorously trying to procure’ uranium.” (See Ltr. from Patrick J. Fitzgerald to Hon. Reggie B. Walton, dated April 11, 2006, attached as Ex. B.) Instead, during his testimony, Mr. Libby drew careful distinctions between the key judgments of the NIE about WMD and its section on uranium. 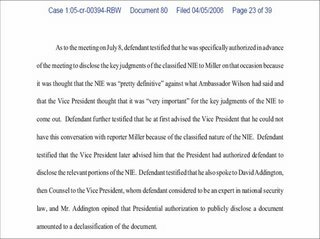 Accordingly, there is no basis for the media reports that accused Mr. Libby of misrepresenting the key judgments of the NIE to Ms. Miller. After the error was pointed out by the Defense Team, the Special Counsel sent out a correction letter to the press. But, as you glance at the Special Counsel’s website, Team Fitzma is yet to post a correction for this egregious error. 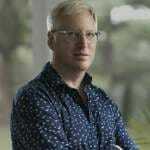 Update: (Friday 3:15 PM CST) Is Patrick Fitzgerald not just slow to correct his whoppers, but also a leaker?